Throughout literary history, one type of story has seen continued popularity – the fairy tale. Recent years have seen a wealth of TV and movie adaptations (there were two versions of Snow White released in the cinema in 2012 alone). So what accounts for this continued adoration? Why, over 200 years since they were alive, do the stories of the Brothers Grimm and Hans Christian Andersen remain a staple of our cultural heritage? Original fairy tales differ slightly from the ones we know today. Over the years these have been honed and retold, so many of the tales we know now are altered versions of the originals. But this adaptation is completely natural for tales which were originally told aloud, shared from parent to child, community to community, constantly evolving. But their essence and importance remain unchanged. Fairy tales have become more than just words on a page. After all this time, these stories still teach us things and provide us with an imaginative escape. Not only have the language and plots of folk and fairy tales changed, through refinement and translation, from those which people like Andersen recorded, but they are also individualised by authors and illustrators. 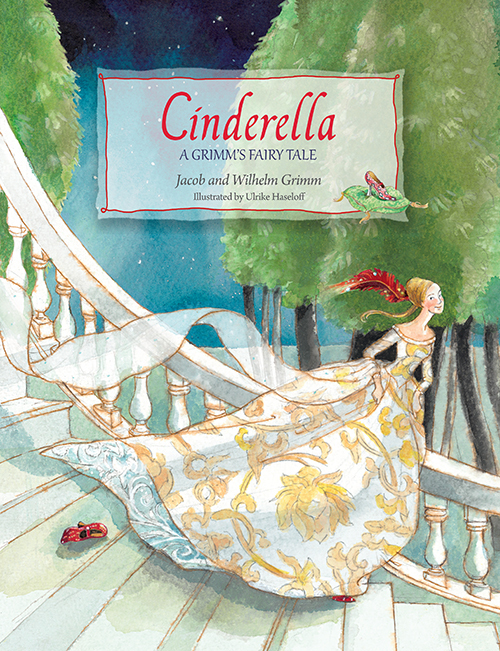 A new edition of Cinderella not only comes with beautiful illustrations by Ulrike Haseloff, but several pages are finished with real sparkles, giving life to the magic of her Fairy Godmother and Cinderella’s own magical transformation. Other illustrators which have brought fairy tales to life are Maja Dusíková and Marjan van Zeyl, who have illustrated The Princess and the Pea and Little Red Riding-Hood respectively. The lasting popularity of fairy tales also allows many lesser-known tales to come to prominence. While many of us are familiar with stories such as Cinderella, Christian Anderson and the Brothers Grimm also wrote and recorded a variety of other tales. You may know of Snow White with her seven dwarfs, but have you heard of the Snow White who goes on an adventure with her sister in Snow White and Red Rose? Another lesser-known story about sisters is The Hut in the Forest, a tale of three sisters who meet an old man and learn not to be selfish. 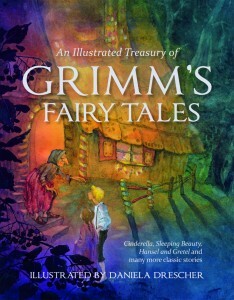 To widen your knowledge of fairy tales you only need to pick up one of the many anthologies available. As the Brothers Grimm wrote over 200 tales (that we know of! ), it can be hard to know where to start. 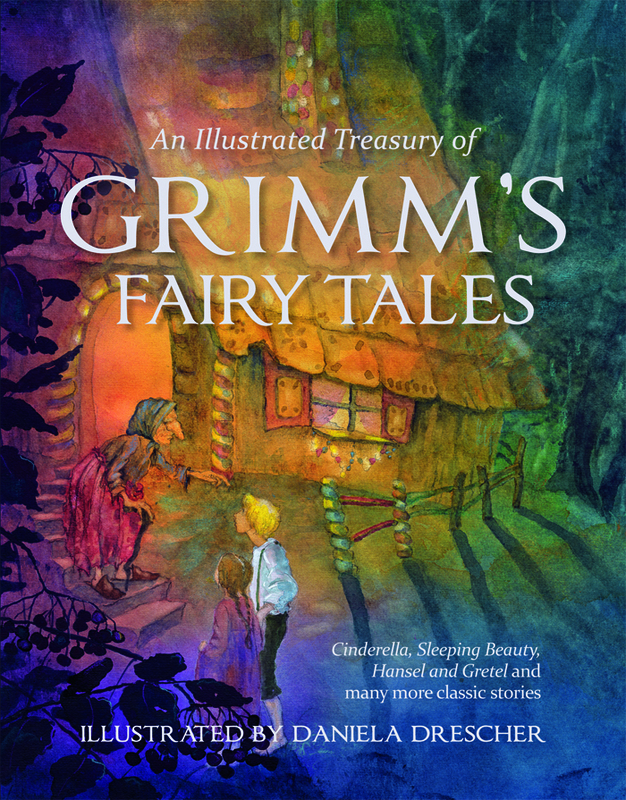 An Illustrated Treasury of Grimm’s Fairy Tales is a stunning new anthology which combines a wide selection of thirty of the brothers’ best-loved tales with stunning illustrations by best-selling artist Daniela Drescher. You may be most familiar with fairy tales like Cinderella and Rapunzel but every country has their own tradition of folk and fairy tales. 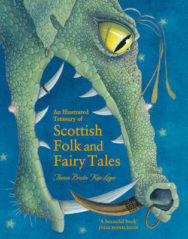 Scottish culture is rich with folklore and mythological creatures, which have often been overlooked. Everyone has heard of the elusive Loch Ness Monster, but may not know much about selkies, brownies, kelpies and the stoorworm. 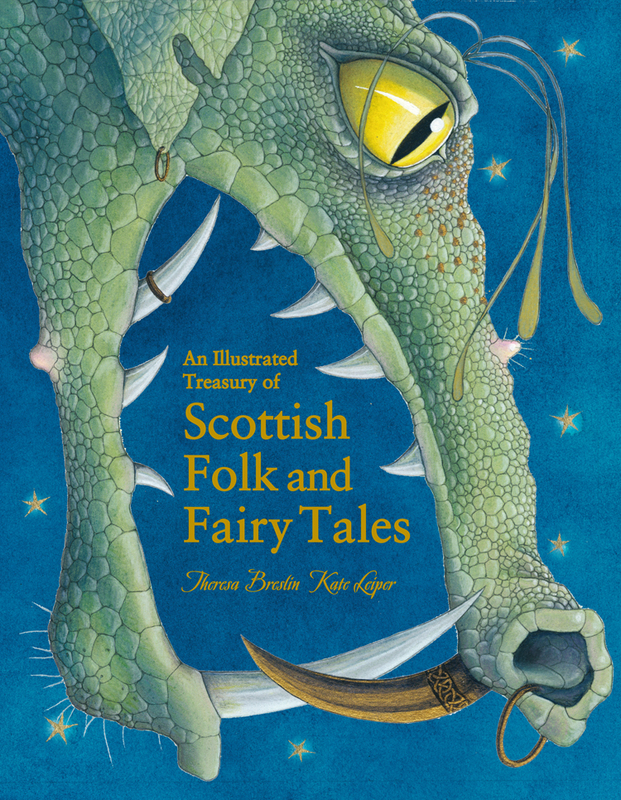 Carnegie-awarding winning author Theresa Breslin has explored the folk tales from this rich heritage and brings Scottish mythology to life in An Illustrated Treasury of Scottish Folk and Fairy Tales, accompanied by otherworldly illustrations from artist Kate Leiper. You may find a few familiar stories; Rashie Coat is a story about a poor girl who is given beautiful clothes and some very special slippers, and The Wee Bannock who runs away from the guid-wife and the guid-man is the cousin to the gingerbread man who did the same. These fairy tale plots may seem simplistic, as a princess meets her prince, but beyond this apparent simplicity lays a more complex tale and characters that have to work through dilemmas which we all face. You may not be a young woman attempting to escape your evil stepfamily amid your heap of chores, but you will probably be able to relate to at least some of the feelings and emotions expressed. We continue to read fairy tales as they allow us to escape into another world, while still relating to the characters and situations we read about. Fairy tales are still rooted in reality, just not necessarily the one we live in right now. For adults, fairy tales provide us with a sense of nostalgia and familiarity; for children, they allow them to visit another world and help to liberate their imaginations. When it comes down to fairy tales, it’s all about the way you tell it. And that’s why they’ll continue to be popular for a long time. This blog was originally published by Floris Books on their website here. 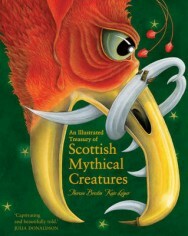 An Illustrated Treasury of Scottish Mythical Creatures by Theresa Breslin, illustrated by Kate Leiper’s exquisite illustrations, is out now published by Floris Books priced £14.99. The book makes a wonderful gift to be treasured for a lifetime.